Kathryn is the newest member of the team and her main role is to support the needs of the business through efficient administration, as well as proving PA support for the director. Kathryn is responsible for developing and maintaining the company’s digital strategy as well as contributing to the creation and development of marketing collateral. 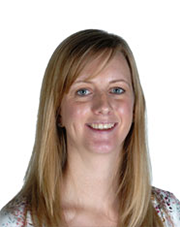 Kathryn comes from a varied background in the training and education sector. She graduated from the University of Durham with a BA (Hons) Education with Qualified Teacher Status. After spending a year travelling the world, she decided to pursue a career outside of the classroom and most recently worked for the UKs largest examination board as a Continuing Professional Development manager, designing and developing training events for teachers. After taking time out to start a family, Kathryn is delighted to now be using her creativity and experience of training delivery to support the development of our products.